My name is Abha Kulkarni and I am senior at Penn and a submatriculant in the MPH program. 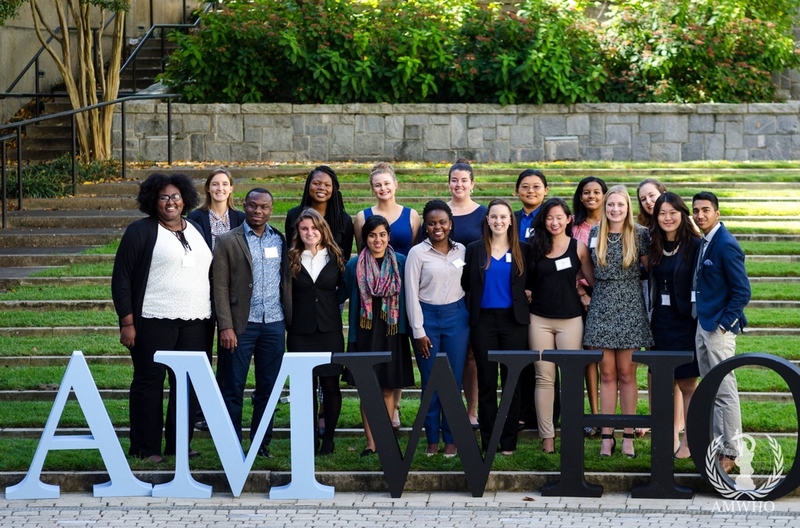 On October 14-16, I had the opportunity to attend American Model World Health Organization (AMWHO) 2016 at Emory University. The conference, modeled after Model United Nations, was open to undergraduate and graduate students interested in the healthcare field. Individuals from all over the country and abroad gathered to attend the event, the topic of which was antimicrobial resistance (AMR). During the application process, we were assigned roles representing countries, media outlets, or NGOs. I was representing Guinea-Bissau in the AFRO region of the World Health Organization. AMWHO 2016 began with two keynote addresses to help frame the conference. The first was by Dr. Carlos del Rio, Chair of the Department of Global Health at Rollins School of Public Health. He spoke about the challenges of tackling a health crisis like AMR, which has its roots in so many industries. For example, one of the primary users of antibiotics globally is the agriculture industry. Antibiotics protect livestock against infection, but also introduce antibiotics into our diets. Dr. del Rio implored us to be cognizant of the multidimensionality of AMR during our subsequent discussions. Next, we heard from Dr. David Weiss, the director of Emory University’s Antibiotic Resistance Center. He reminded us to bear in mind the interests of the various groups involved in combatting AMR. For instance, it is not in the best interest of pharmaceutical companies to make antibiotics. The research and development process takes so long and costs so much that they lose money. Effective solutions, he reminded us, have to work for everyone. Both speakers concluded with a startling statistic: in 20 years, more people will die from antimicrobial resistant infections than from cancer. The gravity of the crisis we were tasked with solving clear in our minds, the delegates then broke into our WHO regions to begin discussing AMR. Upon introducing ourselves and our countries, we set the agenda and goals for the following day’s discussion. Agreeing that the AFRO region lacked proper AMR research and public health infrastructure, we set our agenda to Stewardship and Surveillance. The delegates of the AFRO region reconvened Saturday morning, eager to draft a resolution. As the day progressed and debate deepened, several key themes emerged: resource disparities, lack of culturally appropriate interventions, and the need to train local healthcare workers. In the spirit of camaraderie, higher-income nations pledged their resources to the surveillance of AMR. All AFRO nations renewed their commitments to reducing corruption in order to ensure proper resource allocation to AMR prevention. Finally, we wrote a resolution encompassing a comprehensive step towards reducing the threat of AMR. The conference resumed the following morning in a joint session with delegates from all WHO regions. We were tasked with presenting the resolutions we had crafted the previous day, asking questions on other resolutions, and finally voting on each. The resolutions that ultimately passed would be sent to the WHO headquarters in Geneva, Switzerland for their consideration. As each region presented their resolutions, many of the same questions were asked. How will you pay for this? Does the WHO have the authority to do this? How can we ensure the cooperation of member nations? Each resolution was painstakingly analyzed. We spent hours debating amendments and fine-tuning wording. Ultimately, my region’s resolution passed! Alongside other passed resolutions, it is destined for Geneva, Switzerland where it will be reviewed by actual WHO officials. The conference concluded with a speech by Dr. Arjun Sreenivasan of the CDC’s National Center for Emerging and Zoonotic Infectious Diseases. He applauded our work in undertaking a health crisis of such immense proportions and reminded us of the multidimensionality of most global health crisis. In the AMR crisis for example, there are issues of both excess and access. That is, well-resourced countries struggle with prescribing an excess of antibiotics. Meanwhile, poorer countries struggle with adequate access to antibiotics. Thus, in solving health problems on a global level, we must remember to consider all facets of a crisis and tailor our interventions accordingly. Global health crises are unimaginably complex. In listening to and participating in discourse during AMWHO 2016, I was forced to consider interests beyond my own. I was reminded of the opening addresses by Dr. del Rio and Dr. Weiss. There are multitudes of stakeholders, each with their own, often conflicting interests. Resources are always limited and compliance is almost never guaranteed. Perhaps the greatest lesson I took away from AMWHO was how truly difficult it is to work in the field of global health. But having spent the weekend engaging with equally enthusiastic individuals and having passed a resolution together, I came away with a renewed sense of determination that solutions, while complex, are not beyond our reach.